Most people think creating a color scheme for a room is difficult, but we think that’s a myth. There are four categories that any good color scheme falls into. Once you understand these fail-safe types of palettes, the rest simply comes down to your personal preference. Let’s walk through the four types of color schemes, and then we’ll do an exercise to help you make your own. Whites Great in a big, bright, modern room. 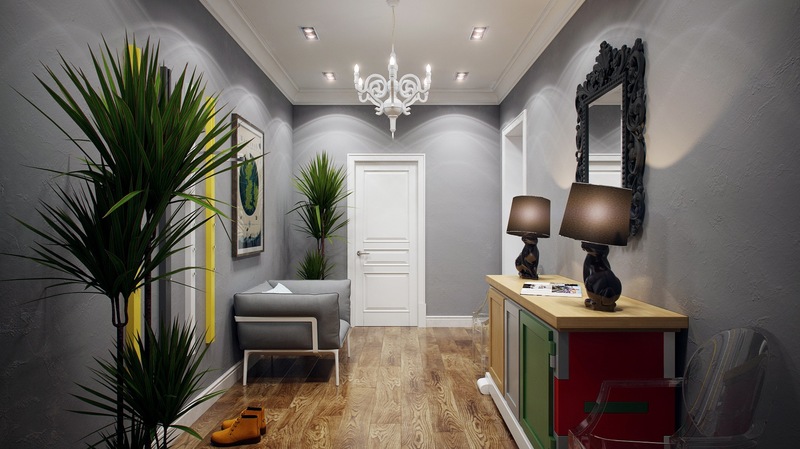 Grays Soft and refreshing, works best in a neutral part of your house, like an entryway or hallway. We just presented you with a lot of options. So now how do you go about picking one for your home? We said that once you understand the options, it’s all about personal preference: now all you have to do is pick a single color you like and run with it. Pick a color, right now, for this exercise. Your home is all about YOU, so make sure it’s a color you love. And no, white, black, brown, and gray are not colors! Choose something from the rainbow or get a little more creative with maroon, turquoise, or lavender. You won’t have to use your color extensively if you don’t want to, but every room needs at least an undertone. We’re going to go through this exercise with the color orange, because it’s one of the trickiest colors to decorate with. Once you understand the process with orange, it should be easy with any other color! Here’s your first option, and it’s what you should do if you wanted to choose white or tan as your color. Instead of actually making your walls, furniture, or accessories orange, simply make tan your primary color and use warm (yellow) lighting. This will give your room an orange undertone without actually making it an orange room. Follow this approach if your color is red, orange, or yellow. If you chose green, blue, or purple, then use white lighting and a cold shade of gray that’s slightly tinted blue or green. 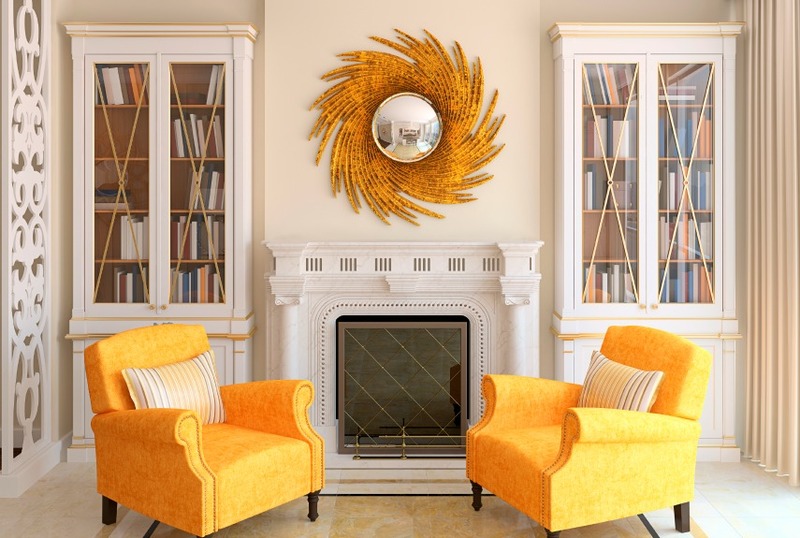 The second option is to paint your walls a neutral color but add orange furniture or accessories. Most rooms are already neutral, so this is the easiest way to integrate your favorite color, and eliminates all worries about matching with another color. The oranges in this photo all match very well, but don’t hesitate to use several shades of orange in different parts of the room. Sometimes it even looks better if all the colors are not identical. So you can’t pick one color or don’t want a single-tone room… Here’s what you do instead! 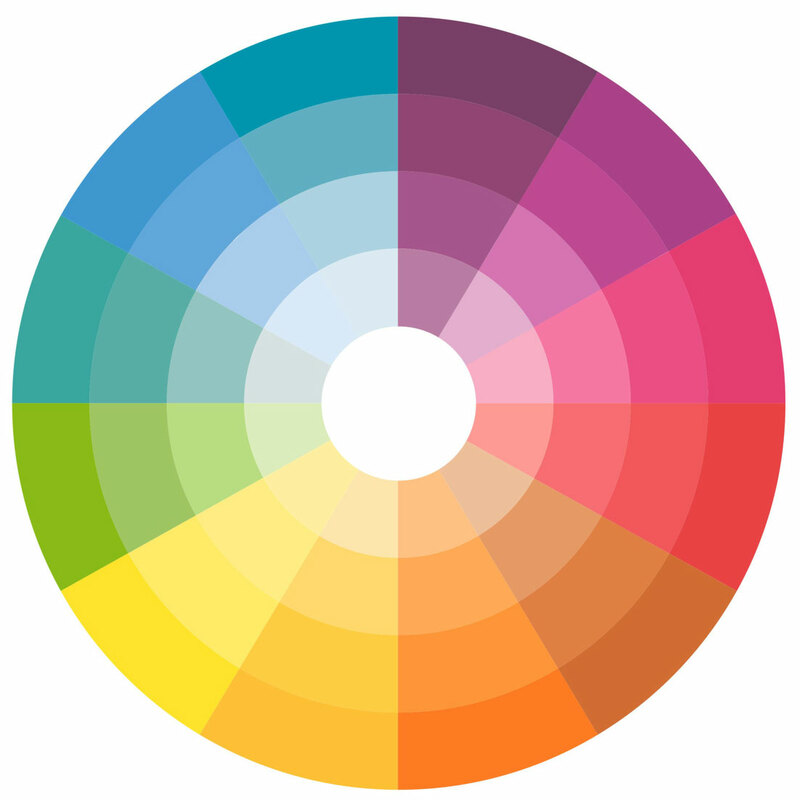 Use the color wheel to find your complementary color — the directly across from your color on the wheel. For orange, the complementary color is blue. You could of course pick a non-complementary color to go along with your main color, but complementary colors are guaranteed to look great together. You could also get fancy here and pick three colors, all equally far away from each other on the color wheel. Adobe has a great tool to find colors that go together. 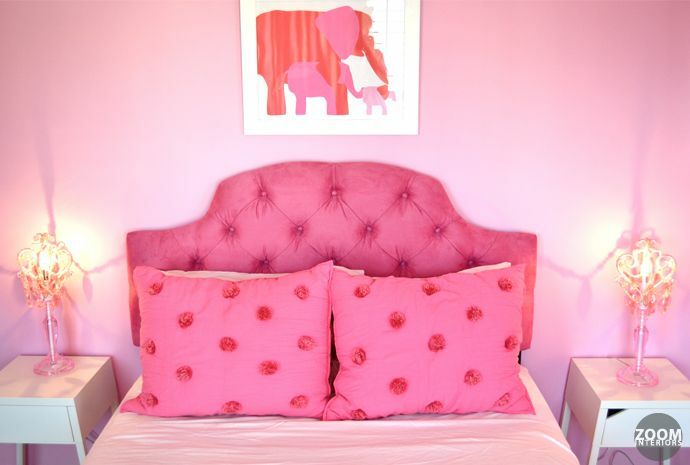 We recommend using the complementary or triad setting (for two colors or three) to find color schemes for your room. The fourth option is to go crazy with the color you chose. This room has orange everything: orange walls, orange accessories, and tan/brown furniture. If you like bold design, give this technique a chance. You could always post a photo on Decorator and preview how a bright color will look in your room before you paint! After reading through this example, you should have a pretty good idea of how much you want to integrate your color palette into your room. Once you have a color in mind, simply base your design off one of the four types of color schemes we demonstrated. We want to leave you with some tips from HGTV for picking the perfect color scheme — it’s the most useful and relevant article we’ve found about this topic.